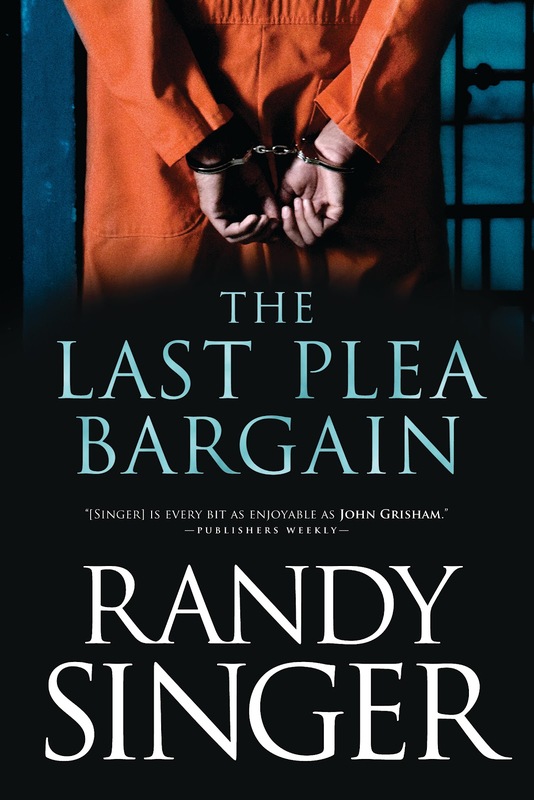 The Last Plea Bargain is another great legal thriller by Randy Singer. Jamie Brock became a prosecutor mainly because of the senseless murder of her mother several years ago. She has approached her job in a no-nonsense sort of way and is known for her unwillingness to make deals. She is driven by a sense of justice, has never plea-bargained a case, and has no intention of every doing so. Her mother's convicted murderer is about to receive his capital punishment, and Jamie is hoping for a sense of closure. At the last moment, though, he receives a stay, and Jamie's world starts to spin out of control. A high-powered defense attorney -- with connections to the killer's case -- is himself indicted for murder. During his brief stay in prison, the attorney manages to clog up the entire county legal system. As things go from bad to worse, Jamie has to question the values she stands for, as well as the reputation of her own father. She finds herself unsure of who to trust -- and the question of trust includes her trust in God. Is there any way for true justice to win out? This is the third book I've read by Randy Singer (and I have several others in my to-be-read pile). Besides being an author, Singer is a veteran trial attorney and a pastor. In each of his books, I get caught up right away in his intriguing story and complex characters. I have seen his work compared to that of John Grisham's. I can only speak for one or two I've read of Grisham's, but with the Christian perspective Singer writes from, I would say his are much better. Check out the video to get a little feel of the intrigue of The Last Plea Bargain. I had the privilege of receiving the following set of questions and answers from Randy Singer and enjoyed learning more about him and his writing. Hope you enjoy them too. The Last Plea Bargain is loosely based on a case you tried. Can you briefly share with us some of the details of that case and why it is special to you? Regina Jennings has released her debut novel, Sixty Acres and a Bride, and I found it a delight to read. Rosa Garner leaves her native Mexico to join her mother-in-law Louise as she returns to the family ranch in Texas. In the summer of 1878, the two widows find themselves in a desperate situation when they discover that back taxes have mounted up on the property and they have just three short months to come up with the money for the taxes or face losing the property. Rosa tries to follow the instructions Louise gives about the proper way for a lady to behave in this unfamiliar culture. But no matter how hard she tries to avoid it, the lively and beautiful young woman manages to attract unwanted attention. Weston, the one man whose attention she enjoys, is lost within his own world of hurt and guilt. He appears interested at times and then seems to run away. When the deadline for saving the family property approaches, Rosa knows no other way to help but to follow her mother-in-law's plan to ask for Weston's help. That strategy seems to backfire and creates even bigger problems for Rosa, leaving her feeling very much alone in her strange new home. Will she ever find the real love she longs to have? 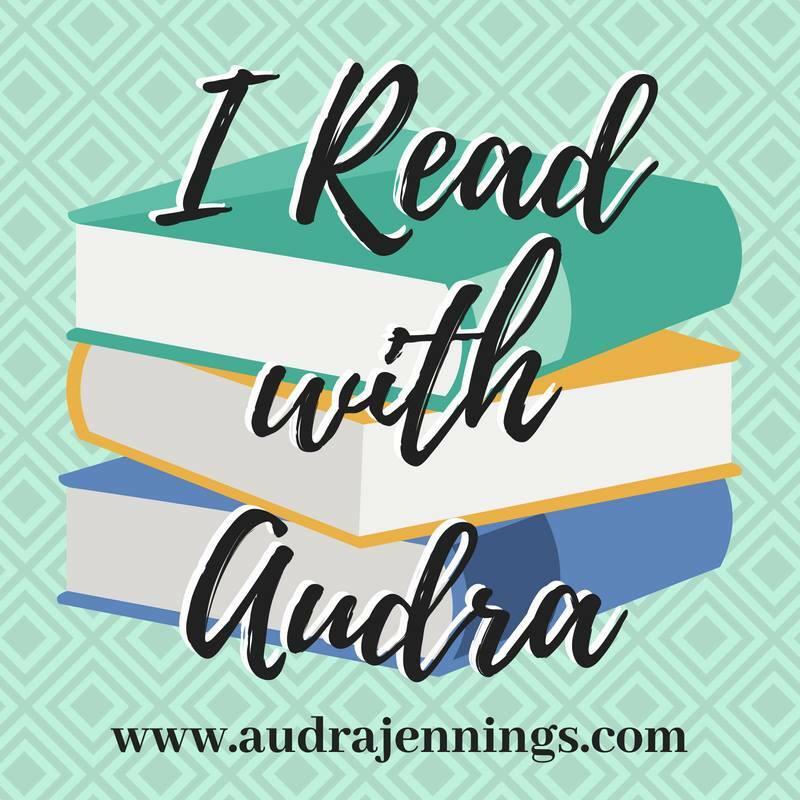 Regina Jennings wrote this first book with a style that is engaging to read. Her characters came alive right away and drew me into their story. She revealed details of the characters' back stories over time, just when they were needed to develop the plot. Faith and Biblical lessons play an important role in the story. If this book is any indication of what Regina has to offer, I look forward to reading more. You can see what other reviewers think about Sixty Acres and a Bride here. 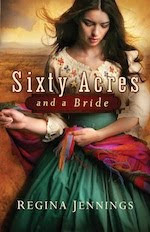 Click here to purchase Sixty Acres and a Bride. This is the final guest blog from Sandy Ralya, author of The Beautiful Wife. If you haven't read her book, I would recommend you check it out for more great insights. 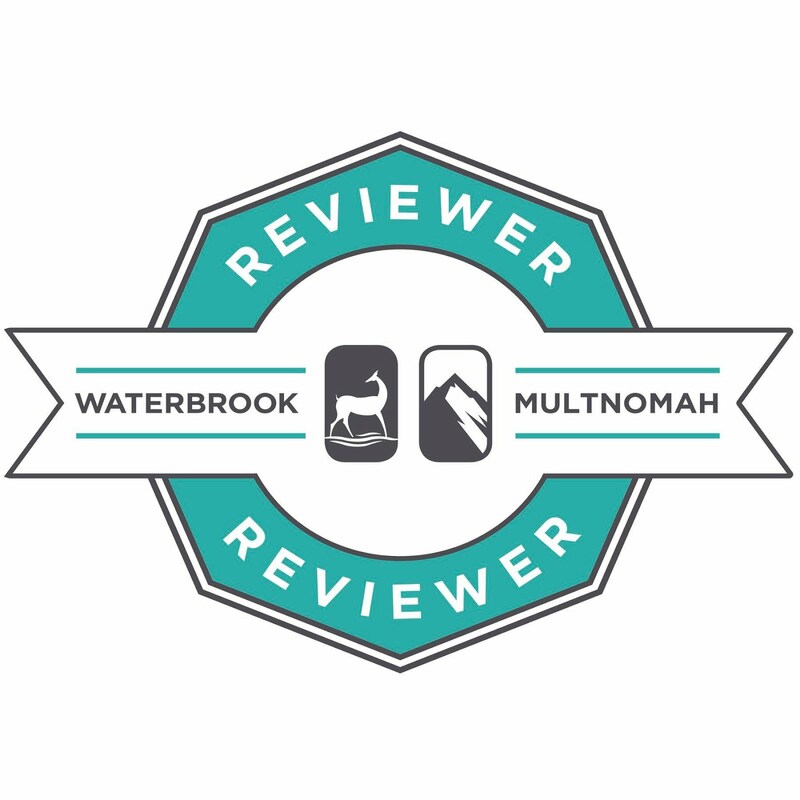 The book has an accompanying mentor guide and prayer journal for personal or group study. When I signed up to review the book, Litfuse Publicity Group provided me with a second set (The Beautiful Wife and companion materials) to use as a give-away. If you're interested in receiving the books, comment below this post; include your email address. I'll randomly select a winner sometime after 5 p.m. this Wednesday, March 7. It has become second nature for women to defend themselves. For untold generations, women have been hurt, taken advantage of, and diminished in their value. With the advent of the Women’s Liberation Movement, women came out swinging against the injustices they’d endured and, in the process, they lost something of great value—their vulnerability. There is something so inviting about vulnerability. It invites others to look deep inside. This invitation to look inside is exactly why so many avoid vulnerability at all cost. If you offer vulnerability to your husband, what will he do with it? These risks overshadow vulnerability’s beauty until you consider the consequences of a life lived defensively. Living defensively is like living in a fortress—walls built up and weapons ready. The face behind the wall is tense, scanning for threat. A life lived on the defense is a life spent without rest, joy, or freedom. Many women dwell behind walls that inadvertently keep their husbands out, and they wonder why they do not feel known. 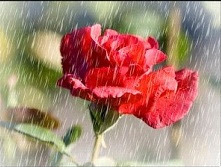 Since true romance involves being known and desired, to invite your husband to romance you must take the risk of being vulnerable, tearing down your defensive walls. For instance, when you get hurt, do you retaliate in anger, or are you vulnerable with your husband and admit your feelings? Retaliating in anger may satisfy your thirst for justice, but it won’t give you the increased romance and intimacy you want. No one approaches a fortress when arrows are flying from it—unless they are prepared for battle!
. .　. The Lord says, "I will rescue those who love me. I will protect those who trust in my name." You must come to recognize what triggers you to defend yourself rather than to admit your pain. Perhaps it’s a fear that your needs won’t be met or that you’re not valuable. When the triggers come, remind yourself that God loves you and He’ll defend and protect you if you put your trust in Him. Shooting arrows of anger over your walls doesn’t provide your husband the safety he needs to know, desire, and pursue you. Allow God to protect you and go before you, leveling your defenses and making way for your husband to romance you. Do you offer your husband vulnerability? Special Note: If you are in an emotionally or physically abusive marriage, exposing your vulnerability could be damaging to you instead of healing. I urge you to seek the help you need. Contact the Domestic Abuse Hotline at 1-800-799-SAFE, or call your church and ask to be referred to a reputable Christian counselor. 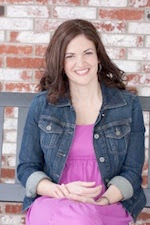 Here is a third guest blog from Sandy Ralya, author of The Beautiful Wife. Men are highly sensitive to signals of doubt because doubt plagues them. If you continually give off signals of doubt, you will confirm the fear of inadequacy that lurks deep within your husband. If a man believes he doesn’t have what it takes to please you, there’s not much chance he’ll attempt romance. "A wise woman builds her house, but a foolish woman tears it down with her own hands" (Proverbs 14:1). Doubting your husband and his abilities tears away at a man; conferring confidence builds him up. A confident man is grateful to the one who believes in him. Do you have confidence in your husband, or do you find yourself regularly second-guessing him? Do you struggle with doubt when it comes to his abilities? and in his dream for the future. At home, I wanted Tom involved with the discipline of our children but was rarely pleased with his methods. I thought he was too strict and should be more understanding. Instead of communicating clearly with Tom about my concerns, I undermined his authority by smoothing things over with the kids behind his back. My actions conveyed a lack of confidence in my husband. I sabotaged our parenting and our marriage. Our kids learned their parents weren’t always on the same team, so if they worked on the more lenient parent, they might get their way. Tom felt hurt and angry. Doubting my husband didn’t open any doors to romance! The media constantly broadcast fear and doubt concerning the future. Against this tidal wave of doom and gloom, it’s difficult for a man to confidently believe that God has planned a hopeful future for him. When my husband was going through a job transition a couple of years ago, it became apparent he was struggling with doubt over his ability to succeed in a new venture. He was really down one day when he commented, "Most men don’t make a job change at fifty." I asked, "Who says?" He rewarded me with a smile from ear to ear. ﻿Tom’s words weren’t so much a statement of fact as they were a question—he was asking me if I believed he could successfully make a job change at fifty. A wise wife counteracts the media’s message of fear with a daily dose of confidence. Inspiring confidence in your husband is like pouring water on dry, thirsty ground. What seeds of potential lie dormant within your husband, waiting for the showers of your confidence? ﻿What does your husband dream of doing? Let your husband know that you believe in him. If you don’t, who will? Breathe words of confidence into your husband today and watch as he stands taller with every word spoken. That said, pray about which ones to encourage. If your husband’s dreams take him in a direction that worries you, consider your concerns. Are they rooted in selfishness or fear? Turn to God and give Him your worries. Conferring confidence invites your husband to romance. Here is another guest blog from Sandy Ralya, author of The Beautiful Wife. She again shares advice for us "less-than-beautiful" wives. What stirs the embers of romance deep inside you? Maybe you haven’t thought about romance lately because of busyness, fatigue, disillusionment, or hopelessness. But romance with the man you love may not be as elusive as you might think. Though we all desire romance—every woman longs to be noticed, pursued, and adored—few of us realize that…our words and actions may serve as stumbling blocks rather than invitations for the man in our life to woo us romantically. Do you like what you’re experiencing in regard to romance? If not, ask yourself if you’re more likely to trust OR control your husband. You’ve seen the controlling type. Most women on TV sitcoms struggle with control. They walk all over the men they’re with and it bothers us. It’s easy to detect control in others, but are you guilty of similar actions? Let’s look deeper and find out. Do you correct your husband? Do you instruct your husband? Do you improve your husband? Do you correct your husband’s pronunciation or perhaps the telling of a story when you know he’s got the facts mixed up? When you correct your husband you’re telling him he did something wrong. In this position you’ve become his mother. And that’s a romance killer if there ever was one. 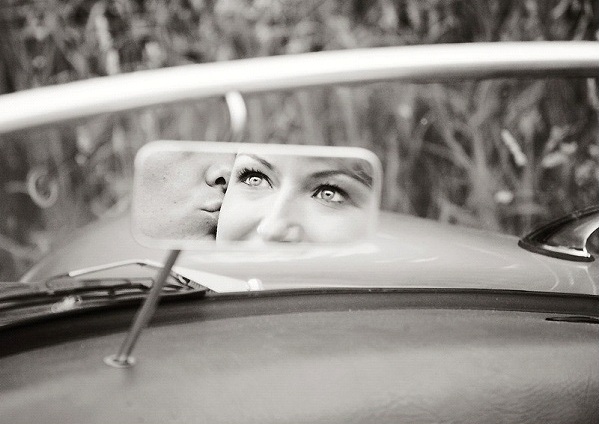 Do you instruct your husband when he drives, performs tasks, or helps out with the kids? When you instruct your husband, you’re sending the message, “You don’t know how to do this.” In this position you become the teacher who highlighted his ineptitude. Exposed, he’ll either shrink or strike back, rather than pursue. In what areas do you try to improve your husband? When we correct, instruct, and improve, we justify our actions by saying we’re just trying to help when, in reality, the measures we employ have more to do with fear—the fear that we won’t get what we want or we’ll get it too late. Whenever our actions are borne of fear, the results we experience will be disappointing at best! Give your fears to God and trust your husband with new words and actions…Inviting him to romance.